Every state in US keeps having their own poker tournaments and the one that occurred in Michigan State was the state poker championship event. 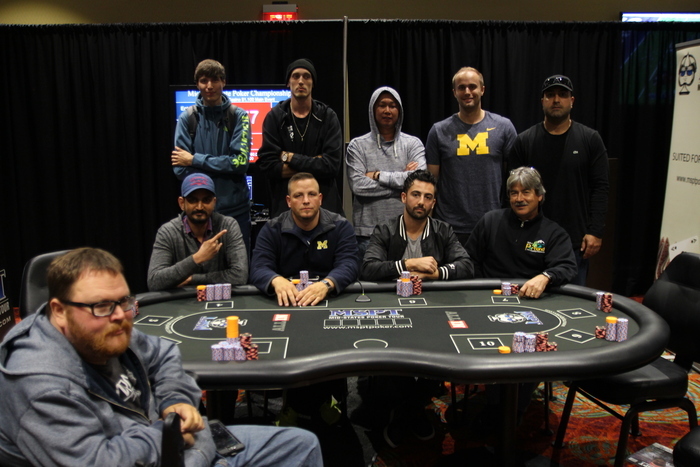 Being part of the mid states poker tour, there were about 884 runners this time in this tour. The venue of the competition was Firekeepers casino hotel. The final winner of the competition was Brett Blackwood. He won with a total amount of $188,314. This amount of live cash was a first for Blackwood. Understandably, he was excited about the win. He stated that the win felt so surreal that it felt fake. It was like a dream after he made the win. He states that, he has till then been a pot limit player in Omaha of the recreational category. Till now he is not thinking of playing poker professionally. He states that during the event he was all in about fourteen or fifteen times. He also was behind most of the time, but the final run was a spectacular one. The bankroll that he was coming in from the games had been all right, but with the recent win it has just become spectacular.